International Center for Academic Integrity: The Center for Academic Integrity provides a forum to identify, affirm, and promote the values of academic integrity among students, faculty, teachers and administrators with a focus on post-secondary education. Champions of Character video PSAs from innovative and influential leaders in support of the instruction of ethics and character. McCabe, D. & Wangaard, D.B. (October 29, 2009) Promoting academic integrity to advance character development: A strategic planning session. CEP Pre-Forum Workshop Notes, Washington, DC. Stephens, J. M. & Wangaard, D. B., (August, 2008). Steps to Prevent Cheating in Classrooms, Professional Development Workshop Notes. The School for Ethical Education. Taylor, Bill. Academic Integrity: A Letter to my Students, Emeritus Professor of Political Science. Ten Reasons not to Cheat: A discussion outline suggested for classes or advisory sessions in secondary schools. Bloomfield, Brian D (2007). The Honorable Thing to Do: A Survey and Analysis of Honor Codes and Councils in DC Independent Schools. Honor Codes in the United States: A brief history of honor codes in the United States from Wikipedia. Stephens, J.M. & Wangaard, D.B. (2013). Using the epidemic of academic dishonesty as an opportunity for character education: A three-year mixed methods study (with mixed results). Peabody Jo of Ed. (88) 159-179. Stephens, J.M. & Wangaard, D.B. (2016). The achieving with integrity project: Positive approaches to dealing with academic dishonesty. In Student Discipline: A Prosocial Perspective. (Ed.) P.M. Brown. (pp) 37-44. Rowman & Littlefield: New York. Wangaard, D. B. & Stephens, J. M. (2011). Creating a Culture of Academic Integrity: A Toolkit for Secondary Schools. Search Institute Press: Minneapolis. Wangaard, D. B. (September, 2011). Leading with Integrity. Essential Character. Character Education Partnership, Washington, DC. Wangaard, D. B. 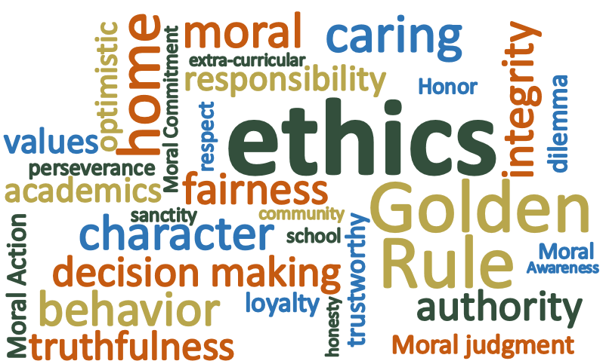 (March 27, 2015) How a meaningful curriculum can help prevent cheating: Character.org’s principle 6. Character.org Blog. Washington, D.C.